Today, our Sacred Earth is critically wounded, degraded, poisoned, and depleted by the activities of our human family. Colonialism, industrialism, consumerism, warfare and a lack of spiritual understanding are primary drivers of this growing, relentless assault on our beloved earth. Our ancestors have long understood and wisely shared, many times, that these destructive forces are, in turn, driven by greed, selfishness, ignorance, fear, and materialism. In recent decades, we have heard repeatedly, from the world’s scientific, educational, social and environmental institutions, that our collective human activity is increasingly threatening the future generations of our children and rapidly destroying our common home! We live in a time of tremendous challenges – the clash of immediate human needs with their long-term impacts on the planet’s capacity to support life. 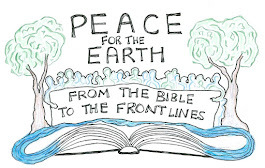 I have always been passionate about environmental justice as my faith compels me to protect the earth. Prophet Muhammad said, “God has made the earth green and beautiful, and He has appointed you as stewards over it.” This Prophetic teaching urges Muslims to be the ambassadors of our earth and to do what it takes to protect it. The natural world is truly the gift that God has bestowed to the humankind. And there is no greater threat to our "green and beautiful" earth than the more frequent and intense droughts, floods, storms and wildfires brought by climate crisis. As an Indonesian-born Muslim currently living here in Southern California, I have seen first-hand the impacts of climate change, both in my native home, Indonesia, with its severe floods and sea-level rise, as well as in my adopted home, California, with its severe drought and massive wildfire. As the human race crosses a path, which we now call “progress” – it leaves in its wake a trail of destruction that threatens our own survival. Until recently, approximately 200 years ago, the entire human race lived in the natural state and evolved traditions of their own for thousands of years and conducted their lives in harmony with their natural surroundings. Unfortunately, these wonderful traditions have now been undermined. The idea of conserving the environment as it is understood today is relatively new. It has come about because human behavior and activities were increasingly threatening the balance of the natural world. However, when we look at the Islamic teaching and tradition, it speaks neither of the environment nor of the conservation in the sense that we have come to understand these terms today. In the Holy Qur’an, God calls us to “walk upon the earth gently,” meaning that we are bound by moral imperative to treat our shared common home with the care and respect it deserves. On the other hand, the reality of climate change not only has grave implications for the future of our planet but also represents one of the great moral and ethical issues of our time. Thus, in the spirit of welcoming the Islamic New Year of 1440 Hegira, let’s transform our habits and mindsets towards living sustainably! Nana Firman is GreenFaith’s Muslim Outreach Director. An Indonesian, Nana directed WWF-Indonesia’s “Green Reconstruction” efforts during a post-tsunami period and developed an urban climate change adaptation and mitigation initiative. 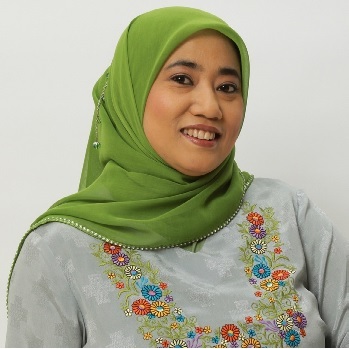 She was featured in Azizah Magazineas one of Muslim women active in the green revolution. She was named as a White House Champion of Change for Climate Faith Leader by President Obama. Currently, Nana also co-directs the Islamic Society of North America’s Green Initiative.